On this page you will find teaching notes for all of Alice's books, in publication order, as well as interviews, curriculum questions and additional resources. 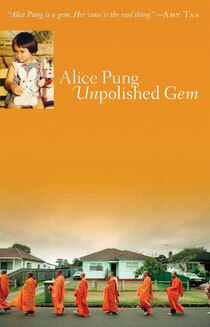 Professor Pam Macintyre from the University of Melbourne has written extensive teacher's notes for Unpolished Gem, which can be accessed here. 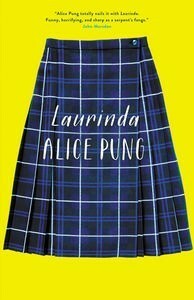 "I wrote this original introduction to Growing Up Asian in Australia, but it was a little too 'academic' and political to be the preface of a book that was intended to be sold in general bookstores and airport lounges. 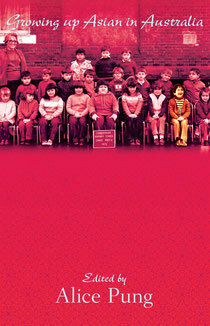 However, since its release, Growing Up Asian has become a text at high schools and universities, so I include it here for student who would like to explore the issues of identity, history and politics at a deeper level." - ed. 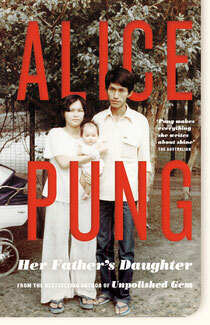 Her Father's Daughter was a book that took Alice over ten years to write. It explores the love between a daughter who is struggling to be independent, and a father who is a survivor of genocide. Alice writes about how she came to find the heartbeat of the book in the article below. Professor Pam Macintrye has written these extensive teaching notes for Her Father's Daughter, which can be downloaded here. Laura Gordon has produced excellent and comprehensive teaching notes for Laurinda which can be accessed below, along with Australian Curriculum Questions and interviews.